Last edited by CitizenErased on Wed Jun 14, 2017 12:03 am, edited 10 times in total. Damn I wish I could watch it tonight but I've got work tomorrow morning. They said they've got a surprise for Crash Bandicoot and I hope it is Crash Team Racing! This will likely be the first time in years that I don't stay up for this as I have work tomorrow and can't afford to be late. I'm excited for this event but I won't be watching it live. I plan to get up early and watch it before I have to go out, though . I'll be up to watch it as always. I'll download the youtube vid tomorrow morning at watch it on the way to/from work. BOR wrote: Damn I wish I could watch it tonight but I've got work tomorrow morning. God I hope not One Crash game is enough. My guess as to the surprise is this: *Crash remake video finishes* "And it's available right now!" That or, if it is CTR, it's a quick and dirty PS4 remaster/re-release. PS1 downloads with trophy support and CTR is the first compatible game. It'll be that there's a demo of Crash available on the PS Store. KK wrote: It'll be that there's a demo of Crash available on the PS Store. Would love that and/or a CTR announcement. For Crash remakes? June 30th. We expecting TLOU2? If so I just hope its more interesting. The Watching Artist wrote: We expecting TLOU2? If so I just hope its more interesting. Probably not. Should see more of new Uncharted, though. I think if they have anything new to show of TLoU2 they'll leave it for the inevitable end of year PS Ex show. Ok. Wont get my hopes up then. Still not played Uncharted 4. This will be my first Sony conference as a PS4 owner. The Watching Artist wrote: ...This will be my first Sony conference as a PS4 owner. Get ready for announcements of games that may come out in three years time. Don't panic, PS4 fans - just jesting. Worth mentioning though as some people do take issue with it, so it's good to inform people of the types of announcements to expect. I think Sony have a good mix because whilst they do like to build awareness of games over multiple conferences, they also have a steady release schedule of other first party games each year. Yeah, I must admit that I liked how Bethesda delivered their conference; a stream of game previews and then - BLAM! - they'll all be arriving in 2017. It can be frustrating to see a game announced and then be told that it's coming out... sometime. 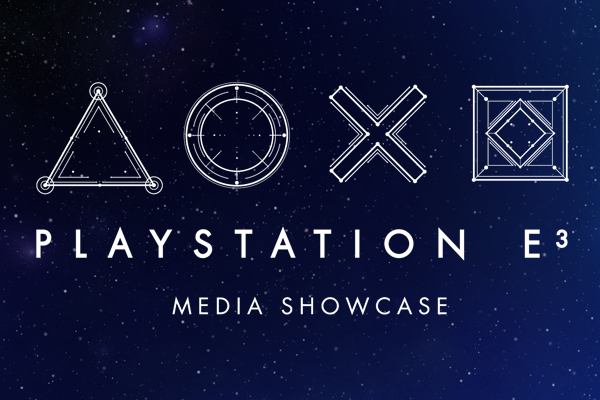 I just grabbed this image from the PlayStation Store which seems to indicate some of the games that'll be shown during the presentation. Probably no surprises with this lot!